Then Monitored By People Just Like You! want to try Our businesses free? If you will tell us how they did for you. This is just one of the ways we monitor our businesses! "Come Visit Us And Spend The Day!" Celebrating 77 Years as SW FLORIDA'S NUMBER ONE FAMILY ENTERTAINMENT DESTINATION! The Shell Factory provides a great place to shop, eat, or just gather with friends. Our many attractions both indoors and outdoors will provide you and your family hours of fun served up with local hospitality. Be sure to visit the website at the link below to see what events and specials are coming up. There is always something new happening at The Shell Factory. Along with great shopping, special events and flea markets, restaurants and game rooms with arcades, there is a nature park and petting zoo, a fun park with Mini Golf, Bumper Boats, Water Wars, Paddle Boats, trampolines, a zip line & Mining Operation, the Suncoast DockDogs and SW Florida Weiner Dogs, a Dog Park & Doggy Church. So you see, there really is something for everyone! 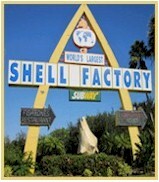 Click here to go to The Shell Factory and see what you can do and what's new! Choose FREE Gift Certificates To Try Our Businesses! This "Network Of Hand-Picked, Quality Monitored Businesses That Do What They Say" is more than a slogan. It is what separates us from everyone else! We want you to see the difference yourself, so we will give you a Free Gift Certificate to try a businesses of you choice ... all we ask is that you let us know about the experience ... this is how we monitor them. You get to try them Free with no obligation, they get to meet you and impress you to earn you as a customer, and we get feedback from you that helps us help them become better businesses. Everybody wins! And it is totally Free for you! Go to The Great GiveAway and choose your Free Gift Certificate! Every day is a great day at Coral Oaks!" 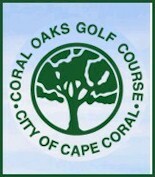 Coral Oaks Golf Course is an 18-hole, Arthur Hills designed, championship course built within a century old oak hammock. The course boasts large greens, contoured fairways, and rich natural surroundings. The 8 lakes and 37 bunkers on the course add to its allure and make it entertaining and challenging for golfers of all skill levels. In addition to the par 72 course, Coral Oaks has one of the largest practice facilities in the area, featuring a driving range with both grass and artificial turf, a chipping area and putting green. There is also a well-stocked pro shop on site with all the latest golf gear, and a full service restaurant and bar, Knickers Pub, to enjoy after your round. For those who are new to the game of golf or would simply like to brush up on their skills, Coral Oaks has PGA professionals on staff to teach golf schools, clinics, and private lessons. Open To The Public. Want to know where the events are? Go to Event Hobo! You will see what events are happening, where they are, how to get there, how much it costs to get in, what to expect, and after the event, you will even be able to go back and find the exhibitors that you talked to while you were there! Are you an event promoter? Let us know. We will help you get the word out about your next event. Do you exhibit at events? Let us know who you are. We will keep you informed about what is going on and where the deals are! Do you know about an event we don't have listed? Let us know! Go to Event Hobo and get to where the events are! Key West Express Escape To Paradise! Enjoy the tropical island paradise of Key West in just 3 ½ hours when you travel with Key West Express to America’s Southernmost City. Modern and spacious jet-powered vessels offer year-round high-speed service to the vacation spot of pirates, poets, presidents and partygoers. Enjoy a tropical drink from the bar or bite to eat from the galley. Watch movies from any of the many big screen satellite TV’s, lounge in one of the climate controlled cabins, or take in the beauty of the Gulf of Mexico from the sundecks. Year round service provided...Stay a day or for an extended stay. Whatever your pleasure, Key West has it waiting for you! Finally, there is a place to go to find all those links to resources you will need from time to time. Federal, State local resource links. These are meant to be a timesaver for you. Find where to go to get car tags, file your homestead, find Health Department links, Social Security offices, the State Attorney and local Tax Collector offices, where to go to register to vote or find your voting location, and even a link to fine the predators and pedophiles in your neighborhood so you can keep your children safe. Make sure to put this in your favorites you so you know where to find it when you need it! If you find something we don't have that is useful, please submit it to us so we can include it. If you need it, other people will need it, too! If we all work together, we all win! 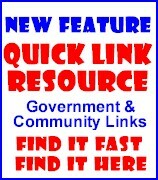 Click here for the Quick Link Resource. Because Quality Matters! - Serving SWFL Since 2000! Starting A New Business? Own A Business? Before you do another thing, come in and talk to us. Our business network is a resource designed to get you what you need to help you succeed at prices you cannot get on your own! It costs nothing to let us show you what we can do to help! Call us today to see if you qualify! People Are Looking For - We'll Pay You To Help Us Find Them! 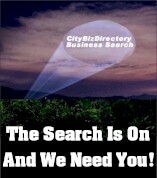 Every week we get a report of what people searched for on our CityBizDirectory |Search This Site| Search Engine. This means someone didn't find what they need. And we don't want that! Help us find what people are searching for and we will pay you $200.00! We want to know who you use and are happy with. We can offer them advantages they cannot get anywhere else, but they have to be really good and be able to prove it! Your recommendation is a great start! They get the help they need, and you get a check! Everybody wins! Call in a referral today!